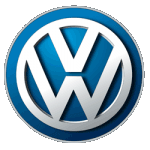 At LittleGreenCarleasing we’ve got some great car leasing deals for Volkswagens. Volkswagens or VWs are superb cars with a lot of personality. The GTI was the first of its class. When you get a VW you’re getting a piece of that personality. VW ads tend to emphasis the reliability their cars’ inspire. Many of these ads are seen as classics, where the driver’s life might have fallen apart but their car is as reliable as ever. VW have a wide range of cars to suit lots of people.